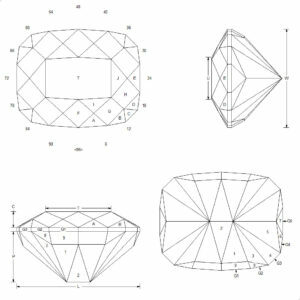 The Sultan’s Seat design (keel version) is a bright and fun faceting diagram originally created for a nice Golden Beryl. It holds lots of weight and makes a very lively presentation. It’s a nice larger cushion that I hope you’ll enjoy cutting!